The United States is currently in the midst of an epidemic-level problem when it comes to the abuse and addiction to prescription medications. Benzodiazepines and opioids are two of the major categories of doctor-ordered drugs that are being misused to one extent or another, which is also causing an increase in the number of people becoming addicted. Codeine is an opioid-category pain reliever that can be prescribed by doctors for mild to medium severity pain. It is also available in some countries without a prescription, making it easier to acquire through certain gray-market avenues. Additionally, it can also be found in low doses in some prescription and non-prescription cough suppressant medicines. As with any drug or alcohol, if a person becomes addicted when they stop using or drinking they will experience withdrawal symptoms. Even though codeine is not as powerful as some other opioids that are part of the increase in use and addiction statistics, codeine withdrawal symptoms can still be dangerous. If you or a loved one is experiencing codeine withdrawal symptoms due to an addiction, or want to learn more about codeine side effects from an addiction counselor, call the professionals at WhiteSands Treatment at (877) 855-3470 to find out more about the help that is available. No matter how severe a person’s addiction may be, no one should go through the detox and rehabilitation process on their own. When a person becomes addicted to any drug, including alcohol, there are some things that every individual will experience no matter what the addictive substance is. As a person transitions from abusing a substance to being addicted, they will begin to build up a tolerance to the drug or alcohol. What this means in non-medical terms is that they will need more of the substance over time to experience the same effect they desire. The other effect that every addict or alcoholic will experience is withdrawal symptoms when they stop using or reduce the amount of the substance they are regularly taking. Codeine withdrawal can sometimes be mild, but the longer a person has been addicted the more dangerous they can become. Once your body is used to receiving a substance on a regular, most likely everyday basis, there will always be a reaction. Something as simple as cutting down on caffeinated coffee after years of drinking a few cups a day can cause headaches and other ill feelings. When drugs or alcohol is involved, the effects can be multiplied many times in severity. Additionally, the codeine side effects and how each individual reacts physically and emotionally to codeine withdrawal can vary greatly. Codeine withdrawal symptoms should be taken seriously and rehab and detox specialists at WhiteSands Treatment are ready to help. 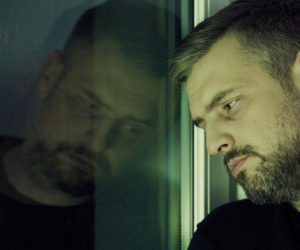 These codeine withdrawal symptoms may not seem dangerous on the surface, but taken together and depending on severity, going through codeine withdrawal and experiencing vomiting, diarrhea, and weight loss can be a recipe for disaster when added to the fact that an addict’s overall health may not be optimal in the first place. No matter what drug a person is addicted to, it cannot be stressed enough how dangerous it is to try and detox and go through withdrawal at home on your own. Not only can codeine withdrawal be dangerous in and of itself, but by not being in a supervised, drug-free environment, there is always the danger of a relapse and overdose if dealing with the codeine withdrawal symptoms gets too tough. ← Is Oxycontin Addictive When Used as Prescribed?